Peter Schweizer, president of the Government Accountability Institute and senior editor-at-large at Breitbart News, highlighted the evidence of Russia-related political corruption connected to Bill and Hillary Clinton and John Podesta while reflecting on Special Counsel Robert Mueller’s investigation of alleged Russian political interference involving President Donald Trump’s 2016 presidential campaign. Schweizer joined Monday’s edition of SiriusXM’s Breitbart News Tonight for an interview with hosts Rebecca Mansour and Joel Pollak. “Mainstream media news outlets,” observed Schweizer, refuse to inquire about relationships between the Russian government and the Podesta and Clinton families. 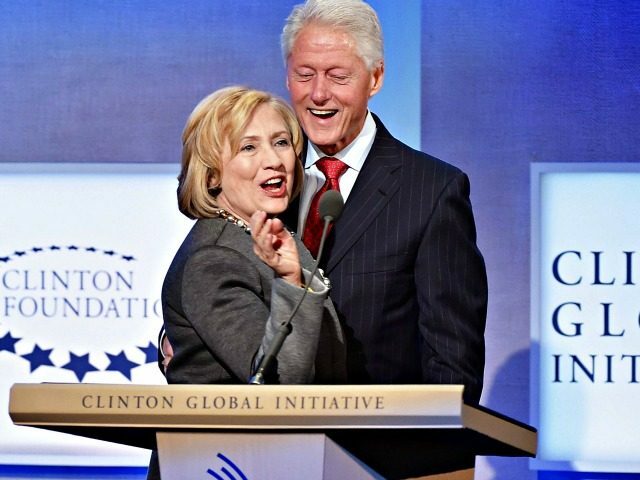 Schweizer explained how the Clinton Foundation received money from Russian sources who directly benefited from a State Department initiative led by Hillary Clinton to enhance Russia’s technological capacities — including military applications — via its Skolkovo Innovation Center. Schweizer explained how the Clintons innovated and set new precedents for the monetization of political influence. Schweizer lamented what he described as partisan and political favoritism afforded to Democrats by the federal government’s investigative bodies.